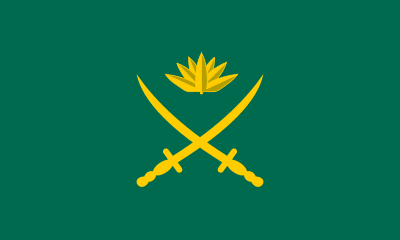 Bangladesh Armed Forces of Bangladesh Armed Forces It is the largest branch of Bangladesh Armed Forces The primary responsibility of the army is to provide the necessary power and manpower with the help of all types of security and defense, including the integrity of Bangladesh's territorial integrity. All types of military activities are regulated by the Armed Forces Division. In addition to primary responsibility, Bangladesh Army is constitutionally committed to advance with the help of civil administration in any emergency. NoW They publish Their Now Job Circular. Apply Now!!! ■ Job Summary ■ Organization Name: Bangladesh Army ■ Post Position: See Job Circular Image ■ Job Posting Date: 03 March 2019 ■ Application Deadline: Follow Job Circular Image. ■ Salary: According to Government Pay Scale ■ Number of Vacancies: See Job Circular Image ■ Educational Requirements: See Job Circular Image ■ Age Limit for Jobs: 18 to 28 Years. ■ Experience Requirements: See Below Circular ■ Job Types: Government Jobs (Bangladesh Army) ■ Website: www.army.mil.bd ■ Jobs Location: Anywhere in Bangladesh. ■ Jobs Source: Bangladesh Pratidin ■ Gender: Both (Male and Female) ■ How to Apply: To Follow Below Job Circular Image.